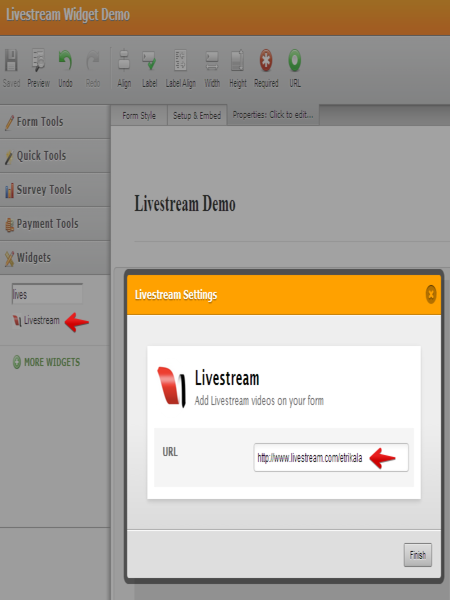 Today, you can now share and embed your Livestream videos directly to your forms in just few clicks. 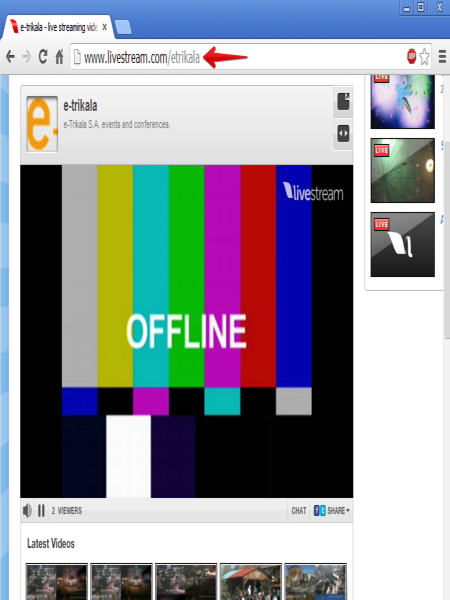 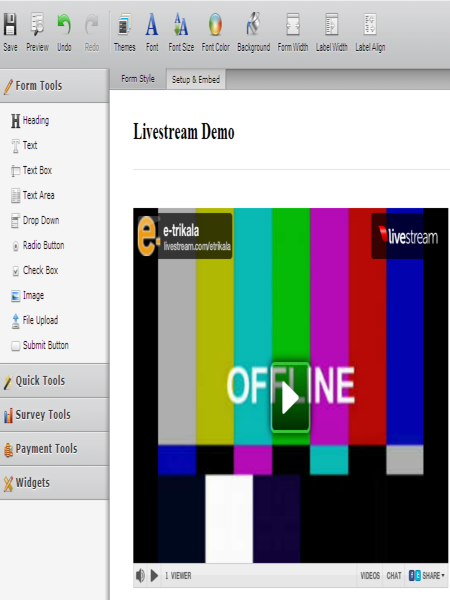 Just drag Livestream widget to your form, enter your channel URL and click finish to complete. 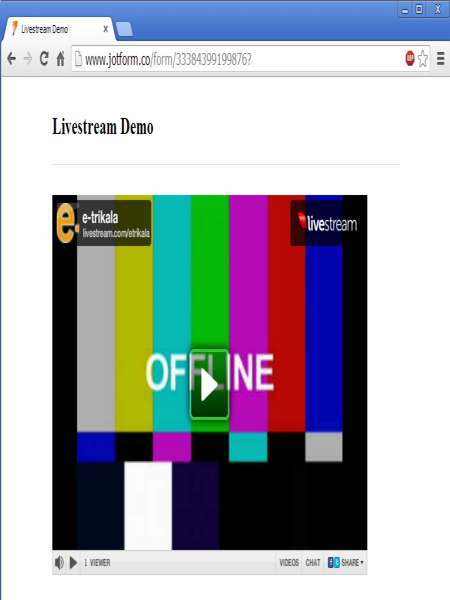 Your Livestream video is now ready!